Tags: 2018 WSOP, Julien Martini. Posted on Tuesday, June 05, 2018 by "T". 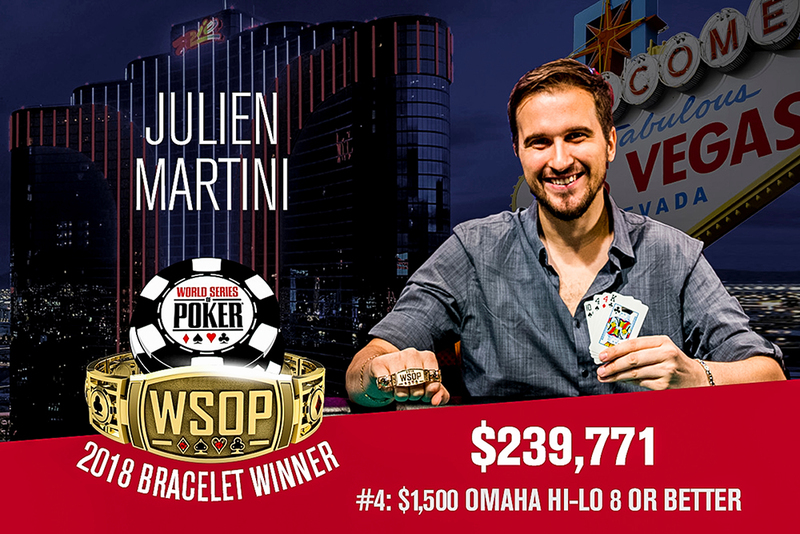 It was a great weekend for Julien Martini at this year's WSOP as he became the very first non-American poker player to win a gold bracelet after a tough heads-up match with Kate Hoang in Event #4 $1,500 Omaha Hi-Lo 8 or Better. He won his very first WSOP title bracelet plus a sweet $239,771 prize money. The battle between the last two players at the final table took nearly 3 and a half hours. Finally, it was the Frenchman who won when the dealer revealed a king on the river, which went well with his K-10-4-4 on hand. Martini described his final opponent after the event, "She is very tough and very hard to play." As a reward for being in second place, the Vietnamese native Hoang got $148,150. In fact, she also barely missed a gold bracelet in a $3,000 PLO Hi-Lo event, finishing 2nd spot to Kyle Bowker, winning $182,281 in the process. A 911-player field accumulated a prize pool of $1,229,850, with the action extended to an extra 4th day (the original schedule was supposed to be 3 days only). On Day 4, four players returned, the shortest-stacked William Kopp (4th) and Mack Lee (3rd) stumbling down while Hoang and Martini battled heads-up for the top spot. Both the champion and runner-up of this event have confirmed that $10,000 of their winnings shall go toward the buy-in of Event #9: $10,000 Omaha Hi-Lo 8 or Better Championship that started its Day 1 on June 3, Sunday. 11 comments for "2018 WSOP: Event #4: $1,500 Omaha Hi-Lo 8 or Better won by Julien Martini for $239,771"
This is the game i like and i have played the most. A very nice win for 1.5k buy in. I do not understand the omaha hi lo game but i played a omaha game with 5000 fixed players and i won 1st with 5.17 dollars my prize. A nice amount of money compared with money earned by Julien Martini in this tournament. Anyway is a beautiful sum for this Frenchman and now he can play more games in this WSOP. It is an easy game. You can grasp the basics at once. 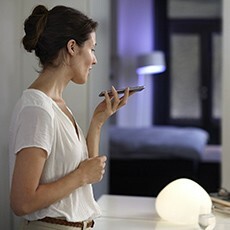 If you are lucky enough and you know what you are doing you can make money out of it. You will need to be very careful of the split pots, to know when to bet and how much. yeah,like pochui say,you can have lot of idiots on table,online or live,that dont know every rule for this game and that will play just to play and this can be really bad!I played few freerolls for this game in my history,but I sawed that this is not for me! Big congratulations to Julien Martini from France on winning the $1,500 buy-in Omaha Hi-Lo 8 or Better tournament and scooping nearly a quarter-million dollars. I have played Omaha Hi-Lo 8 or Better a couple of times online, but I couldn't quite understand the rules.